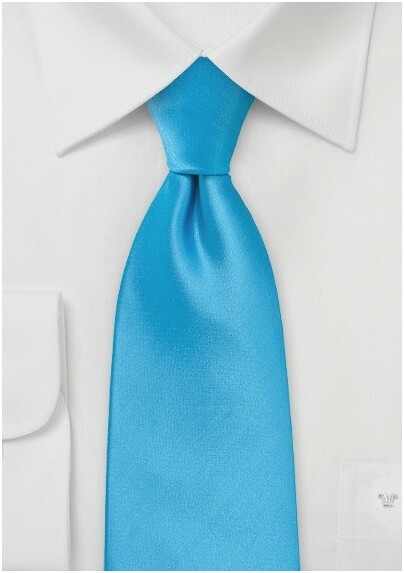 Expound on your love of color and clean fashion with this brilliantly simple and bold tie in a head turning shade of ocean blue. The innovative color works well with an assortment of dark and light hues. Our favorite perennial look is seeing this ocean blue tie paired with a check patterned dress shirt, a well tailored pewter grey suit and black leather dress shoes. 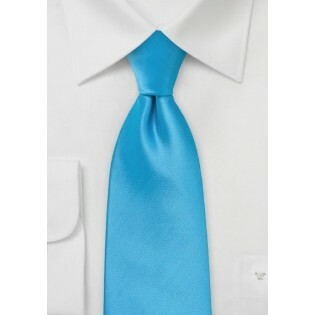 This tie is constructed from a durable microfiber that doesn't wrinkle or stain.